Web Steve, our californian tech super master global megamind will be most upset. Anza used to be our stomping ground, no one else would get in the water because it was polluted and we’d get stunning waves, just to ourselves. Sure there was a risk that you might fall ill afterwards, but it almost became a bit of a ritual to hit up Anza the day before we flew back home because who cares if you get ill back home, you got some amazing waves the day before. These days, Anza is a different story. The commune have cleaned up the beach so that it is now one of the nicest beaches in the area. The heavy industry have all moved out (including the dismantling of an enormous ciment factory), and the perfect waves are there for everyone to enjoy. Part of the reason that Anza is such a great spot, is that it picks up more swell than in Taghazout and has the benefit of having both beach breaks and a screaming right hand point break that just happens to have built up a nice sand bank to the left of it, meaning you also get a great left. So there is something for everyone. 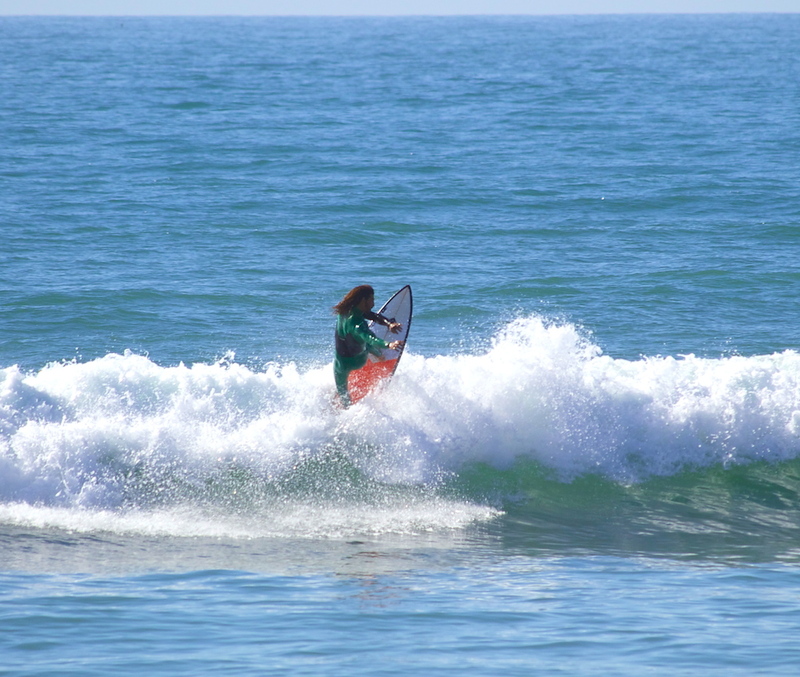 For us as a surf school, it just means that we have yet another option for our guests when the swell is a bit smaller. Historically there could have been a lot of trips to Tamri or Immesouane (cathedrals), now we can mix it up with Anza and actually if you score waves at 3 or 4 different beach breaks in one week of learning to surf, you are doing pretty damn well. 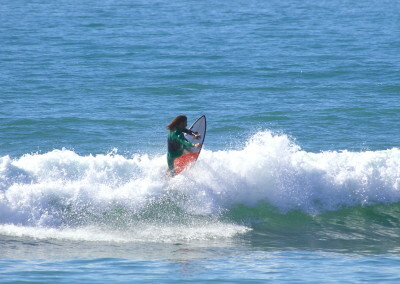 Most other surf schools throughout the world tend to work on the beach right in front of their surf camp. For Surf Berbere, this would mean us walking our guests out to surf on Hash Point or Panoramas every day, which is fine when the swell and winds are making the conditions nice, but really if you have just one week why not go to the best break for the conditions, it is a no brainer! To give you some examples, TTR will send people out to perranporth beach regardless of what the waves are doing, because they have to pay to have a license on that beach. Same for errant and fistral bay in Newquay. Same for Surf’s Up in Polzeath. What they don’t tell you is that 2 miles down the road another beach break is working way better for beginners, but they don’t have transport to get you there nor the licenses. It is a huge plus point for learning to surf in Morocco, and one that many people learning to surf don’t always pick up on. You can’t always guarantee perfect waves on one beach, but if you have a selection of them all pointing in slightly different directions, all receiving slightly different swells and all with different mountains in the background affecting the winds, then actually you have a chance of getting pretty perfect waves whatever the weather. Here are some shots from Anza last weekend!